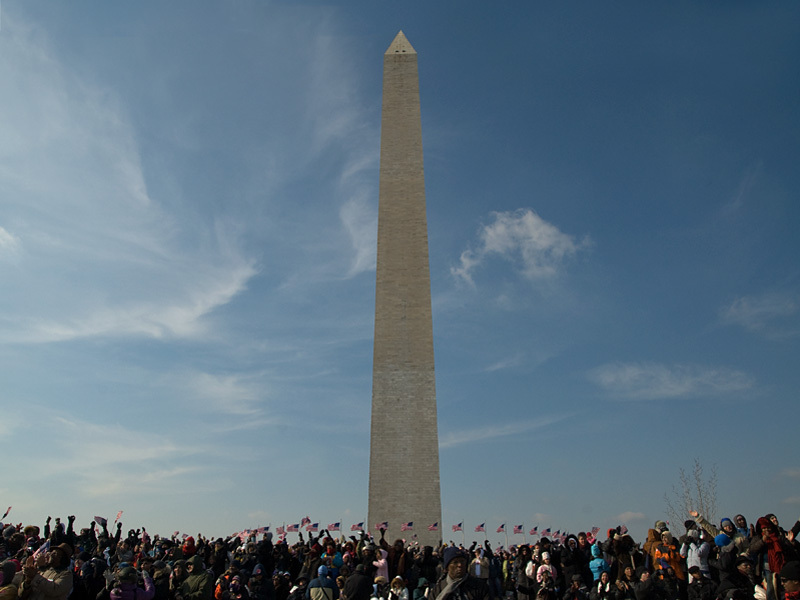 We made it as far as the Washington Monument after walking almost 3 miles to watch the inauguration on the jumbotrons. We were a little nervous when we turned on the news at 6am to see so many people filing into the Mall, "oh man, it's only 6am". But that didn't stop us. Metro stops closed due to overcrowding - that didn't stop us. Closed streets, walls of people walking with no idea where to go - that didn't stop us (although at this point I was not so sure). But we made it in to stand with everyone cheering, smiling, laughing and crying, it was truly amazing! I cannot say it enough, amazing.